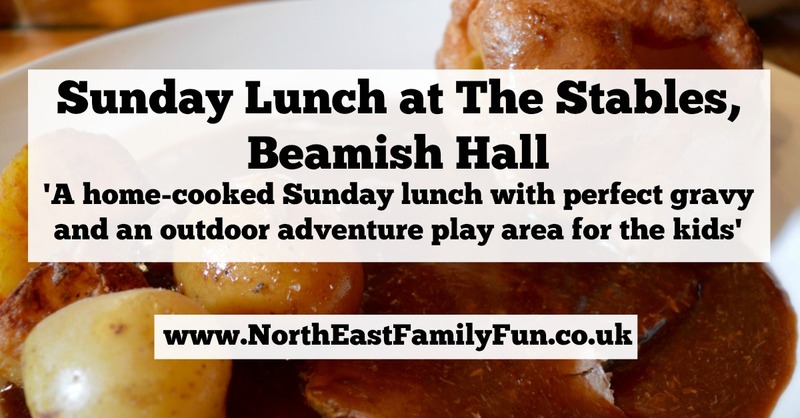 A few North East Bloggers were invited to road test the new School Holiday Camps at Beamish Wild in County Durham this week and as part of our day, Beamish Hall Hotel invited us all to enjoy Sunday lunch in 'The Stables' which is a warm and welcoming pub/bar/restaurant joined onto the hotel. 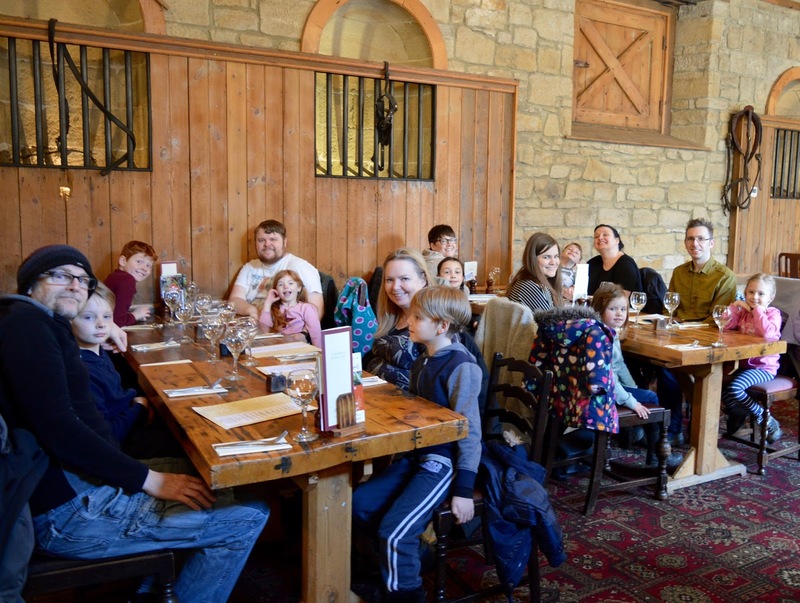 After spending all morning outside building dens and climbing trees, we were more than ready for our lunch and were impressed when the staff quickly arranged tables so our party of 16 could all sit together and took our drinks orders. We had a tight schedule of activites planned so just opted for the one course. Steve went for the Pork loin and Black Pudding and I ordered the roast beef. Both were priced at around £12 and pretty big portions. Served with homemade roast potatoes & a giant Yorkshire plus a side dish of beautifully cooked seasonal veg (the honey glazed carrots were a particular favourite) we all devoured our lunch and declared that this was exactly what a pub Sunday lunch should be like. The piece de la resistance for me was the gravy - meaty and packed of flavour, it certainly wasn't watery like can often be the case and really made the dish for us. Jack even tried to drink his from his plate before I put a stop to it! 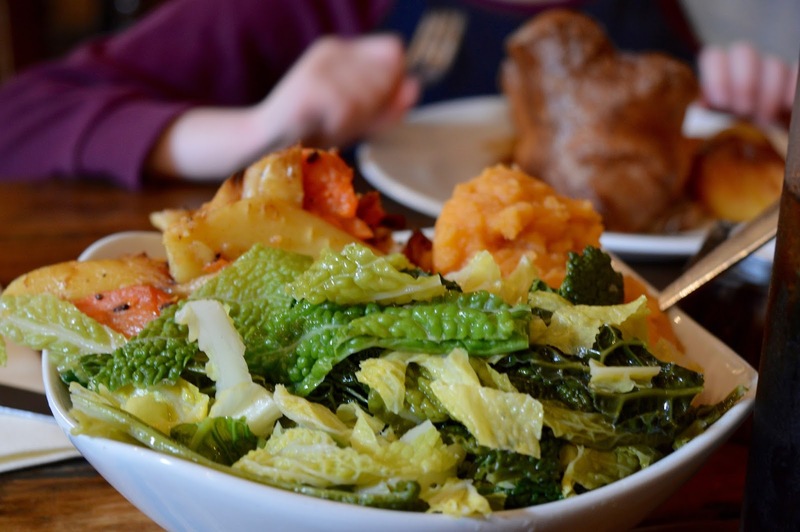 Half portions of Sunday Lunch are available for children at £5.95 or they can pick from the children's menu which is very reasonably priced at £3.95 for a main. Harry ordered the Cheeseburger with fries and there certainly wasn't anything child sized about the portion. Heidi went with a cheese sandwich and fries and again, cleared her plate. Happy kids and happy parents! Service was nice and speedy (which is what we wanted). We were in and out within 45 minutes. 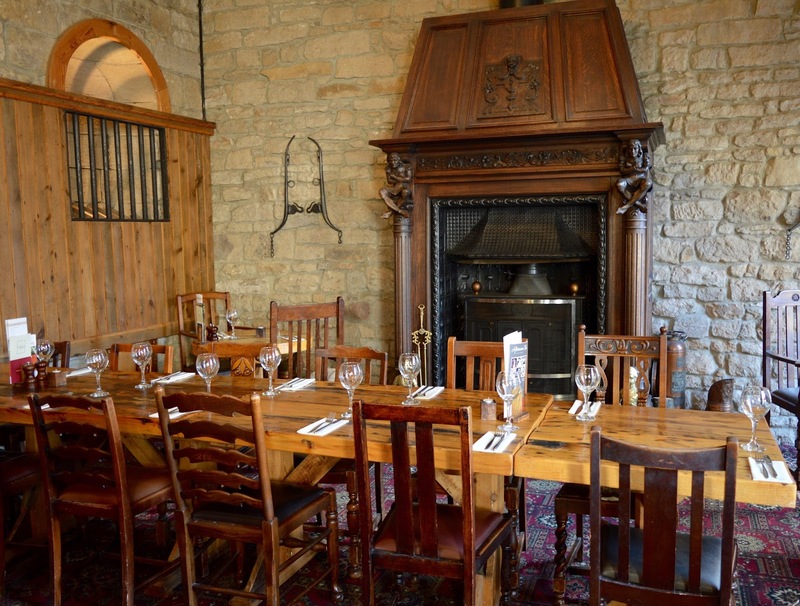 There are a few tables outside the Stables restaurant with a lovely adventure playground with zip wire, climbing frames and rope bridges. If you fancy an after dinner coffee, this would be the perfect spot in the sun whilst the kids burn off some energy. £12 ish puts The Stables almost en-par with The Broad Chare or Jesmond Dene House for Sunday lunch in terms of pricing and I don't think it reaches those standards to be honest but if you are looking for a pub/restaurant with a nice atmosphere, home cooked food and an outdoor play area for the kids, I would recommend giving The Stables at Beamish Hall a try. We'll definitely be heading back in the summer. 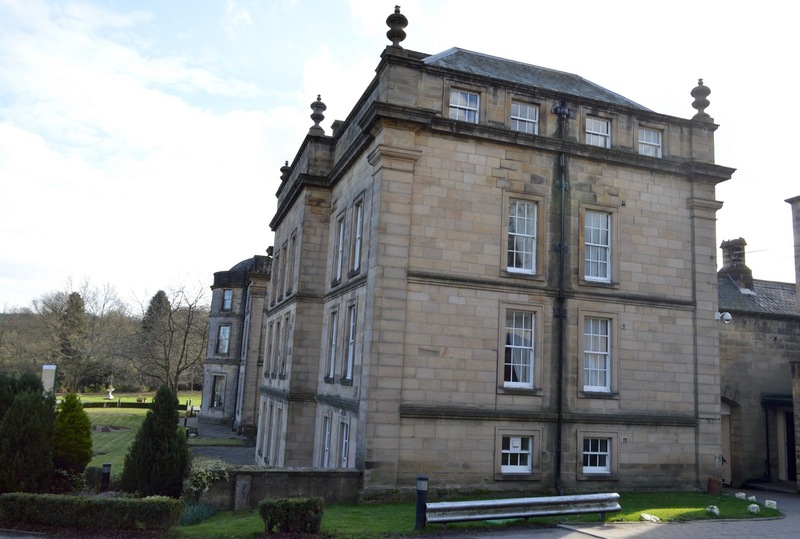 We enjoyed a complimentary lunch as part of our blogger trip to Beamish Wild but were not asked to blog about this part of our day - I can never resist sharing a nice place for lunch though! I really need to up my Sunday lunch game! 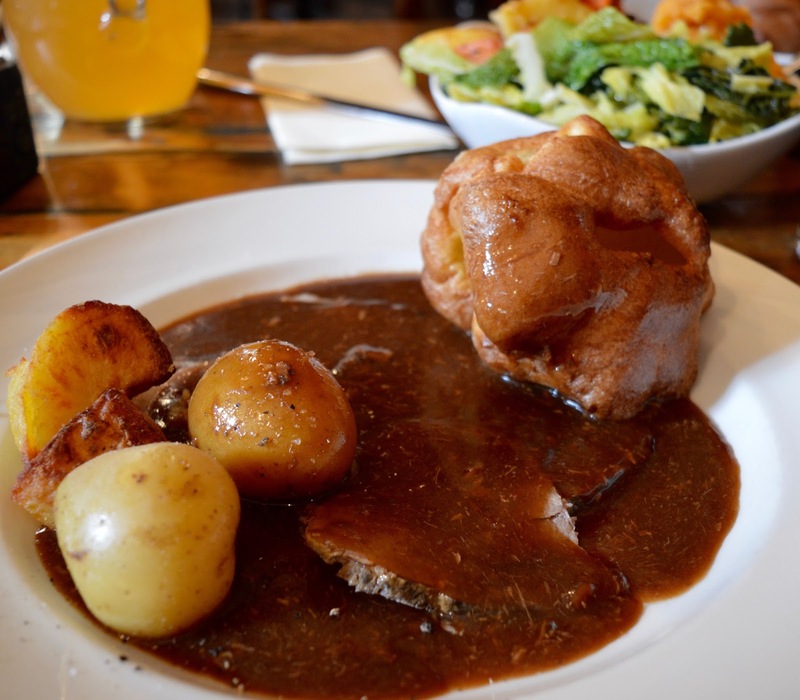 We hardly ever go out for a roast and there's so many places I want to try! The gravy looks amazing! i'm gutted I missed out on this little treat! You definitely missed a treat.